Looking for more local spots in Paris? Make sure you get yourself copies of our 2019 INSIDR Free Paris Travel Guides! No one in the world does perfume like the French. Wondering which is the best perfume to buy in Paris? How about where to buy perfume in Paris, the world capital of beauty? You’ve come to the right place. We’ve put together a list of our favorite parfumeries as well as the best perfume shops in Paris, all of which will have you coming back for more. Forget chain beauty stores and take a look at these individual, typically French boutiques when it comes to buying perfume in Paris. You can even create your own scents, putting together all of your favorite odors and ingredients. Finding a delicate fragrance can be a real headache. How about something more artisanal that enhances your personality? Parfumier Frédéric Malle will wow you with his talents in making the most refined eaux de parfum! His collection includes a captivating range of fragrances. Whether you’re looking for citrusy scents or something more floral, woody notes or perhaps refined leathery tones, Frédéric Malle’s team will have you leave feeling inspired (and of course smelling divine!). This family-owned boutique is now run by Benjamin & Romain Almairac, who are continuing to faire vivre their father’s 45-year legacy, constantly building on fragrance formulation experience and bringing you the best in French aromas. Benjamin & Romain’s expertise began with their training in Grasse, the French perfume-making capital. Even Dior and Burberry have invited them to design custom scents for the fashion giants! Their cosy yet chic boutique, boasts a selection of over 200 raw materials, which serve as a basis to create their niche scents. If you don’t have much time in Paris, but still want to get your hands on that special scent to take home, head to Nose. From big brand perfumes to more niche and local perfumers, Nose has everything you need to spoil your nose! 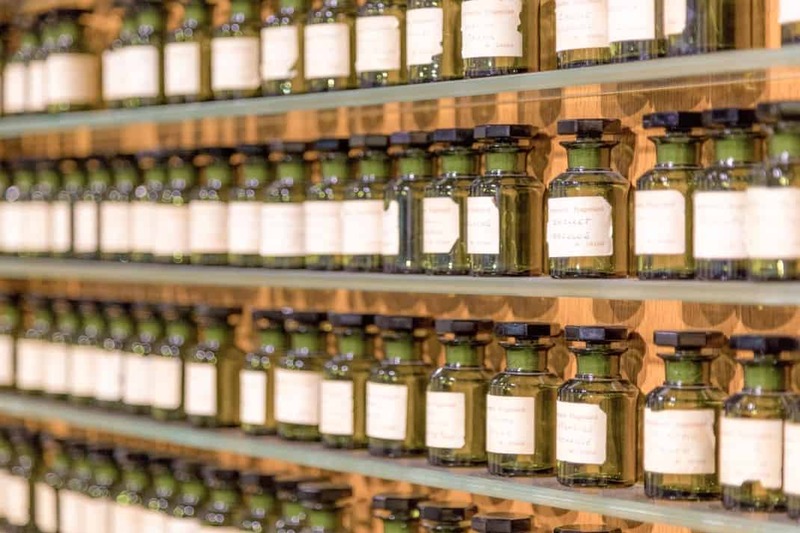 Plus, the staff at their charming boutique in Paris’ 2nd arrondissement are on hand to offer you personalized advice and even sample tests, helping you pick the right scent for you without wasting any time! Our pick: too many to choose from! If going to individual boutiques is too much of a hassle, you must visit Galeries Lafayette for your one-stop perfume shop. They offer a huge range of scents and often propose exclusive editions that are very hard to find elsewhere! Plus, what’s not to love about shopping in one of the most iconic stores in Paris, with it’s astounding dome and view over the whole city! We love prestigious French brand L’Artisan Parfumeur, and we’re sure you will too. Head to Galeries Lafayette to find their exclusive edition fragrances: Amour Nocturne, Haute Voltige, Rappelle-toi, Onde sensuelle. And finally… bring a piece of France home ! With over 300 years’ experience in perfume production, Fragonard excels in creating luxurious yet subtle scents that remain affordable. The ingredients they use in production are all chemical-free, so you can be reassured that you are only putting natural elements onto your skin. Fragonard also has a great range of authentic French gifts to take home, from home deco to books and clothes. It’s easy to get lost in their wonderful world! Call out to all perfume lovers!!! Fragonard even has its own perfume museum with everything you need to know!!! You must have heard of the famous go-to para-phamacie here in Paris – the Pharmacie Monge! Aside from taking some pharmacy and healthy products back home with you, perfumes and beauty products are also a great option! Here in Parfumerie Monge you can find a wide range of brands for makeup and perfumes and it locates in the best location where you shouldn’t miss checking out! Where to Go for Luxury Shopping in Paris?